Everyone understands that advertising and promotion are necessary. Without them our events, cool ideas, and information wouldn’t be seen or heard by anyone. Its crucial, and essential to the survival of any organization. I happen to dislike it. When I consider my duties and the work I enjoy, promotion falls to the bottom. I much prefer working with actors and scripts and making theater. That is not to say that facets of advertising aren’t wonderfully compelling and imaginative. The best advertising, from my limited experience, surprises us and is a very compact story. Exude Story – Every piece of advertising needs to tell a story, ideally your story. From concept, layout, artwork, and language, everything needs to stem from story. One of my favorite recent examples is our poster for The Brass Lantern (many thanks to Sign Designs by Al for the great poster). With a striking image that captures the essence of our hero, tactful use of color, effective composition, and clear language this poster does everything we need it to: capture attention, give information, and give ideas about our story for The Brass Lantern. If nothing else, character dominates this poster. Surprise – Surprise sounds cliche, but it is important. Surprise doesn’t have to be a “Holy cow! I didn’t know that or see that coming!” moment, but it does need to entertain. Surprise could entail humor, or an interesting graphic, an unusual method of delivery, or all of the above. I guess when I say ‘surprise’ what I mean is ‘delight,’ because if you can delight an audience, you have their interest. Once you get their interest, you had better capitalize. In the case of our poster, surprise (well mystery) is achieved through the artwork, color, and font type. Particularly the word “podcast,” with its thinner lines and wider typeface, catches our attention because it is so different from the rest of the language. Where the font for “The Brass Lantern” hearkens back to the pulp era of gritty heroes with its marquee like look, “podcast” has a more contemporary, sleek look to match up with the newness of the digital medium. Persistence & Repetition – Getting your name out there is difficult, especially with the dearth of material one has to slog through on the internet, social media, print sources, television, and radio. Tactful repetition and being persistent can get through much of it, and when it does get through it should be effective. Casting a diverse net helps with this, and any advertising campaign should certainly make use of social media, print, and, if possible, radio or television (though this does get cost prohibitive). 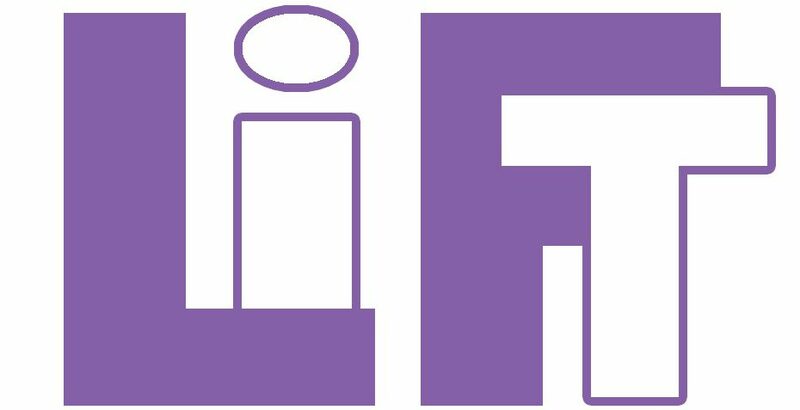 For LiFT we’d had great success with social media and print – creating events, sharing them, cross-promoting with other pages, promotional posts that are image centered, press releases, and news stories. With The Brass Lantern, we even spread posters around to community boards and businesses willing to let us use some window space. It is difficult to gauge how effective print can be at times, because of a lack of analytics, but at the same time that kind of advertising is cheap and gets it in front of a public who may, or may not, know about it. It is also a way to establish community connections – which should always be utilized – and develop future relationships. To me, that’s a good return on investment. Unlocking LiFT 13: The Brass Lantern Live!